Welcome back, Donist World Denizens! For those of you new to our site, I’m Donist, and I am joined by Donist World CFO the Reverse Obie* (my friends’ Boston terrier whose fur recently swapped colors) and by our marketing director/administrative assistant/party planner/delighted by Deadpool Tulip (my dog, Reverse Obie’s sister). Yeah, I gotta figure out how I can fit in going to see Deadpool 2 tomorrow, as I am dying to check it out. My puppy executive team is also excited to see it seeing as how Tulip has teased the hair on her head into an Afro saying she is Domino, and Obie is wearing an LED mini-light over his eye and saying he is Cable; I don't have the heart to tell them that I probably can’t get them in the theater this time. Oh well, they’ll just have to wait until the Blu-ray. Anyhow, be kind to each other, mind your health, keep your pets safe, cherish the ones you love, hydrate, and read some great comics. Oh, and go see The Avengers: Infinity War! Thank you for reading! It’s hard to describe the feeling of discovering your first local comic shop (LCS) and being exposed to more comic books in one place than you could ever imagine. Couple this with the realization that life existed beyond the Big Two and their superheroes and that an exciting shift in the types of stories being told—Marvel and DC included—created a scene that was gloriously overwhelming. Miniseries and maxiseries also appeared. These promised quick, easy, and complete stories that were perfect for keeping squirmy kids like my brother and I content and engaged in a story and wondering what was going to happen when we knew there was a definitive end in sight. One of the most exciting things of the time, however, was the day we found The Death of Captain Marvel sitting on the “new release” table. Here we saw something new during this magical time in the ’80s: the original graphic novel (OGN), stories that were not reprints of older material and had a beginning, middle, and end. It was larger in size than normal comics. It had many more pages. It had a different, fancier paper stock that allowed a broader range of colors than what we saw with the newsprint of regular comics. It also had a much higher price tag, but even as kids we recognized that these OGNs were something special and were worth commanding a greater portion of our limited funds. These OGNs were for birthdays, Christmas, and other truly special occasions, and were meant to be treated with care, respect, and admiration. These OGNs were a big deal in the ’80s and they are still a big deal today. They are very much worth seeking out. This is the type of story Marvel would never publish today. It concerns a mother and daughter on a car trip, their relationship showing the strains of parenthood clashing with adolescence. Their trip takes a fairly routine horror turn when they come into the sights of deranged, perverse country folk intent of doing them harm. Then the unexpected happens in a way that I will not spoil and that has endeared me to Jones’s vast body of work—a catalogue that should be compiled in its own collection(s), by golly. Arena is a product of a time when Marvel took the sorts of risks that most non-publicly traded companies are willing to make, and that allows this 64-page genre mashup to shine. Sadly, I don’t believe this story has been collected anywhere so you will need to find this great OGN in this format; let the hunt begin! Speaking of taking risks and trying something different, Marvel put out Swords of the Swashbucklers, a sprawling, spacefaring, pirate adventure that featured bizarre alien creatures and spaceships patterned after the pirate ships of old. There’s time travel, an oppressive and expansionist empire, and eventually superpowered beings, all while having a fun, thrilling story with unbelievably gorgeous art. 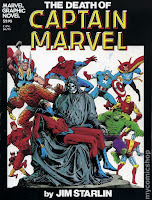 The book was popular enough that Marvel’s Epic imprint published a 12-issue series that unfortunately had a rushed ending as a result of the series being canceled. 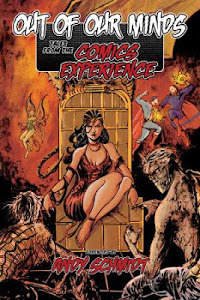 It then vanished until a successful Kickstarter campaign brought all the material together into one collection from Dynamite Entertainment after a three-decade absence. Not only that, a new series, Swashbucklers: The Saga Continues, has begun that cancels out the unsatisfactory original ending and sets sail for new and exciting adventures. The collection is definitely the way to go with this thrilling treasure. 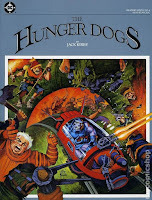 Not ones to be outdone by Marvel, DC entered the OGN fray and came out swinging with a series of eight OGNs that focused on the sci-fi and fantasy side of the equation, with only one book having anything to do with their normal superhero comics: that book is The Hunger Dogs. For those not familiar with Kirby’s Fourth World mythology, it is comprised of Mister Miracle, The Forever People, Superman’s Pal Jimmy Olsen, and The New Gods. The New Gods has a complicated history that saw the series run for 11 issues, then switch creative teams and costumes for Orion as well as being retitled to The Return of the New Gods and retaining the numbering scheme until being canceled on the 19th issue. Kirby reportedly wanted to kill off Orion and Darkseid with what would have been issue 12, but DC would not allow it, arguing to keep the characters alive and kicking. DC then released The New Gods, Volume 2, which reprinted two issues of Kirby’s run in each issue, until in issue #6 of volume two where issue #11 of volume one was reprinted along with a new, 48-page story titled “Even Gods Must Die” was shoehorned in instead of Kirby’s intended ending which looked to again kill off the main characters. 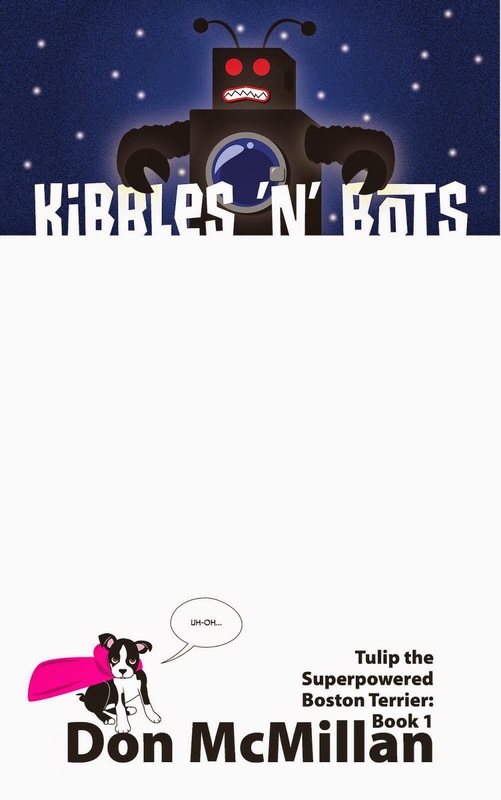 This story is a prologue to none other than The Hunger Dogs OGN which served to wrap up The New Gods storyline, to keep the characters alive for future use, and used unpublished Kirby pages from a story titled “On the Road to Armagetto”; The Return of the New Gods issues were all but forgotten. I know, not the easiest roadmap to follow, but you can do it if you buy the behemoth The Fourth World by Jack Kirby Omnibus to get the whole enchilada, or you can wait until September to pick up The New Gods by Jack Kirby collection which sticks to the basics. Dang, I think I’m ready to dive back in all over again. Elektra Assassin #1–8 was a big deal back in the ’80s and was a series I eagerly awaited from issue one all the way through to the end. With Frank Miller’s amazing writing and Bill Sienkiewicz and his oh-so-beautiful watercolored art, I was in love. 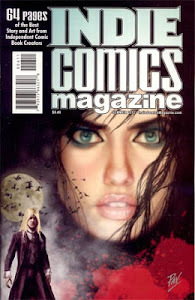 What I didn’t know at the time was that Elektra Assassin had a companion book, an OGN titled Daredevil: Love and Hate. My brother eventually picked it up and we marveled at the continued beauty found in this 64-page treasure. Essentially a Kingpin story that heavily features Daredevil, it involves Wilson Fisk going to extreme lengths to…encourage…a prominent doctor to save the life of his beloved Vanessa, which leads to a conflict with Daredevil who must also rescue a beautiful blind woman abducted by a psychopath. A creepy as hell story with art that both matches the mood while being stunning and exquisite at the same time, this OGN is one that MUST be experienced by both fans of Daredevil and fans of the creators alike. Unfortunately, it is a bit of a rarity, and you are probably going to have to shell out a pretty penny for the OGN or the even rarer hardcover collection that includes Elektra Assassin titled Daredevil/Elektra: Love and War. Sorry about the money—unless you get it digitally. Regardless, you need to read this. I have not read this one yet. I honestly didn’t even find out about it until a year or two ago, which is surprising as I loved—and still love, btw—both of the original miniseries from which this continues. Thankfully, I just received my copy and I will be reading it this week. 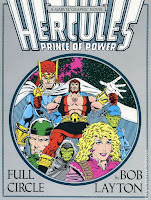 So, yes, here we have an OGN that completes a story trilogy that started with Hercules, Prince of Power #1–4 (1982) and Hercules, Prince of Power #1-4 (1984). (Yeah, you would think that Marvel would at least change the name enough to make it clear which is which, but I guess they wanted things to be as confusing as possible.) Not only that, two decades later, Layton returned to his trilogy to release Hercules: Twilight of a God #1–4 (2010), which I now have to get. The first limited series begins a few centuries in the future where Zeus, irritated by his son’s complacency among mortals, banishes Hercules to the farthest reaches of space to teach the demigod humility. Here, Hercules must face alien threats including the devourer of worlds Galactus. The second mini concerns the gods of Olympus being murdered and Hercules having to return to find out why. Both miniseries have an air of humor and adventure, but with much heart that entertains me as much today as they did when they were originally being released. The story stands up on its own, but Layton’s lovely art lifts these books straight up to Olympus itself. Unfortunately, there isn’t a one-stop-shop omnibus or collection for these four stories. You will have to find the following: Hercules, Prince of Power Hardcover (or trade), which has the first two minis; Hercules: Full Circle Hardcover, which has the OGN and a bunch of other stuff I have not read; and finally Hercules: Twilight of a God Softcover. Or, you can scrounge up the originals and be fully set up. No matter what form factor you go with, just be sure you get ahold of Layton’s Hercules work; you’ll be glad you did. If you have not read Black Hammer, then you are doing comics wrong. Sorry, but that’s the truth. It is one of the best comics I read in 2017 and 2018 and is something I intend to reread in the next couple of weeks. Sherlock Frankenstein and the Legion of Evil is a spinoff miniseries from Black Hammer and although you could read this damn-fine mini on its own, you are missing much of the emotional impact found in the first two Black Hammer trades. This series is set in the regular world where the Black Hammer’s young daughter is determined to find her father and to do so she will go to her father’s fiercest enemy: Sherlock Frankenstein, the zombified, villainous, genius. This book expands the Black Hammer universe and opens the door for even more miniseries like Doctor Star and the Kingdom of Lost Tomorrows (I CANNOT WAIT to read this, btw). Rubín’s art is brilliant and although he has been around for a while, he is new to me and I now need to read everything he has ever done. I will finish Sherlock Frankenstein and the Legion of Evil today, which has me excited to see where the series is going and saddened that I will be waiting a while for whatever comes next. I guess I’ll just have to reread what I already have. VERY HIGHLY RECOMMENDED!